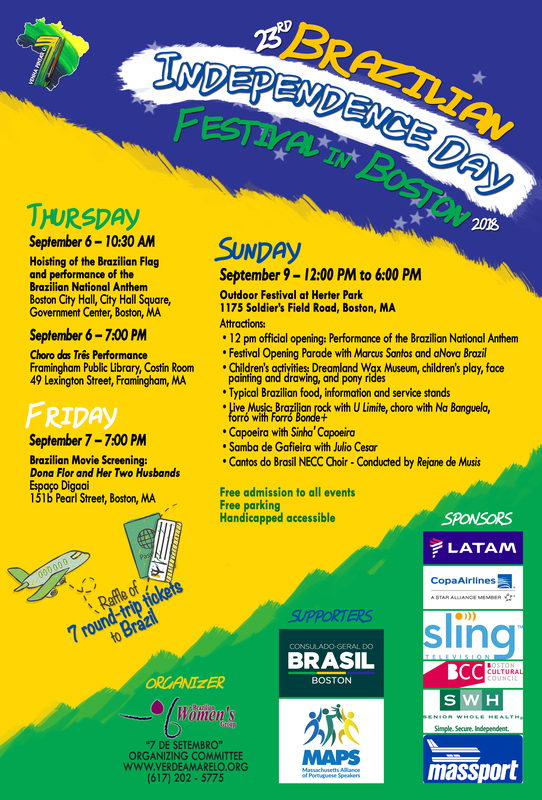 Thursday, September 6, 2018 - 10:30 a.m.
Hoisting of the Brazilian flag and performance of the Brazilian National Anthem. 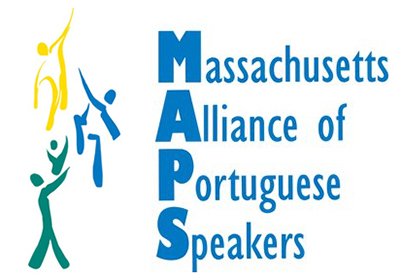 Thursday, September 6, 2018 - 7 p.m.
“Choro das Três” is a Brazilian instrumental music group, which plays a style known as Choro. They started in 2002 with the three sisters Corina (transversal flute), Elisa (mandolin, piano and clarinet) and Lia (7 string guitar), together with Eduardo, their father (Pandeiro and Percussion). The group has released 5 albums in Brazil, mixing classic choro pieces with new ones. Friday, September 7, 2018 - 7 p.m.
“Dona Flor and Her Two Husbands” (1976) directed by Bruno Barreto, tells the story of Dona Flor’s two intense marriages. Vadinho (portrayed by Jose Wilker), her first husband, an irresponsible and jobless drunk, drops dead while dancing in a street carnival party. Only Flor (portrayed by Sônia Braga) expresses remorse after his death. Her friends and family see Vadinho's death as a chance for Flor to find happiness after the misery brought upon her by Vadinho's wasteful ways and near-total lack of respect. Later Flor meets the respectable but extraordinarily dull pharmacist Teodoro (portrayed by Mauro Mendonça). They quickly develop feelings for each other, and subsequently get married. Flor's friends consider Teodoro the exact opposite of Vadinho. He belongs in superior circles within Bahia's society, dresses elegantly, and treats Flor like a lady. What Flor's friends do not know is that Teodoro is also the opposite of Vadinho in one more respect: in bed, Teodoro is as lacking as Vadinho was accomplished. Flor finds herself unfulfilled, and wishes for her late husband to return. Sunday, September 9, 2018 - 12 to 6 p.m.
*Parking in front of DCR Herter Park will be reserved sole for Festival vendors and organizers.